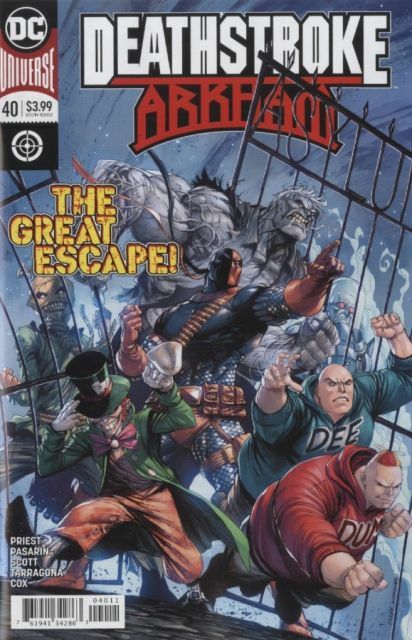 Deathstroke's son Jericho breaks into Arkham Asylum in an effort to free him, but Slade Wilson is caught up in his own conflict with the return of Dev-a.k.a. 'Death Masque'-and the realization that his hallucinatory trip into outer space may have been more real than previously advertised! Meanwhile, Two-Face has Rose dead to rights-is there anyone left to save her?